Those of you who subscribe to the monthly Feel Unique Beauty Box will already know about this cleanser and I don't know about you, but I'm already hooked :). 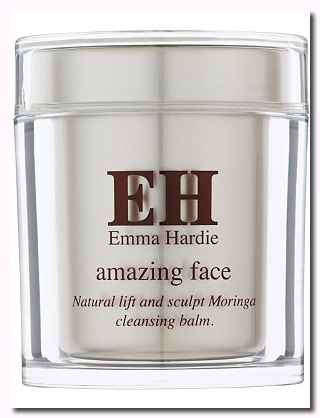 I mentioned in a previous post that this balm reminds me of the cult cleanser from Eve Lom - a sort of thick, lumpy concoction once touted by Vogue as 'the best cleanser in the world'. 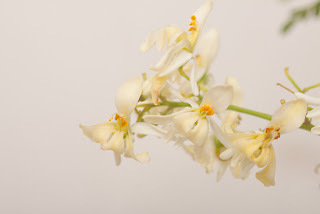 To an extent, it is similar - like Eve Lom, this balm is fairly fragrant and looks quite a lot like solidified honey, but when it comes down to results, I actually prefer the Emma Hardie cleanser! I really enjoy using Eve Lom, so for me this is quite a bold statement. Following the instructions, I mixed a little of the cleanser in my palm with some warm water and massaged it into my face, before removing it with the dampened EH cloth that also came in the Feel Unique Box. I repeated this, using the softer side of the cloth initially, before using the harsher side for light exfoliation as I removed the cleanser for the second time. The results? Well let's just say that there's a reason this is in the 'Amazing Face' range! My skin has seriously not felt this soft since I last had a professional facial (which incidentally was years ago in Australia) and it's so nice to find a cleanser that feels pampering yet still gives me that 'clean' feeling. I think the secret to the amazingness (not a word) of this cleanser lies in the key ingredient - Moringa seed extract. Moringa is known as a 'super plant' renowned for it's antibacterial and antioxidant properties as well as its extraordinary levels of Vitamin A and calcium. Other skin loving ingredients include: Wild Sea Fennel, Vitamin E, orange, cedarwood, rose, jasmine, neroli and mandarin extracts. So basically, it's packed with really good stuff! I have combination skin with dehydration in the cheek/eye area, so I love cleansers that are moisturising, but not too 'creamy'. This one really hits the spot because even though it looks rather like a pot of solidifed oil, once the cleanser is combined with water, it transforms into a light and milky consistency. It removed a full face of makeup and cleansed my skin to perfection and, though I hate to use a cliche, it really did leave me glowing, and my night serum seemed to sink into my skin more quickly than usual. Once I've used up my beauty box sample I'll be purchasing the full size 100ml balm from Cult Beauty for £38. P.S. The cleanser can be used as an ultra nourishing mask - just apply a layer and leave it on the skin for 10 minutes before removing as normal. Oo thanks for the tip about using it as a mask! I've used it once or twice now and really like it, and the smell is lovely!